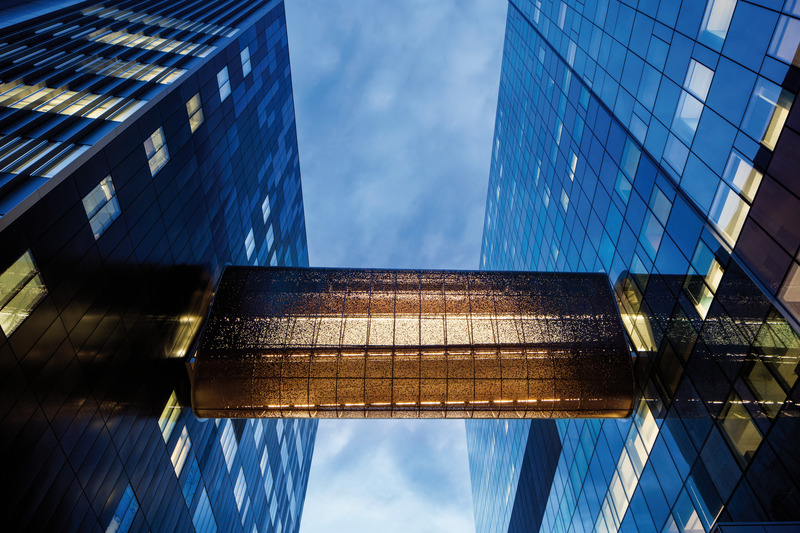 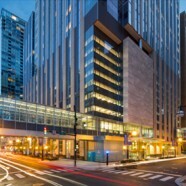 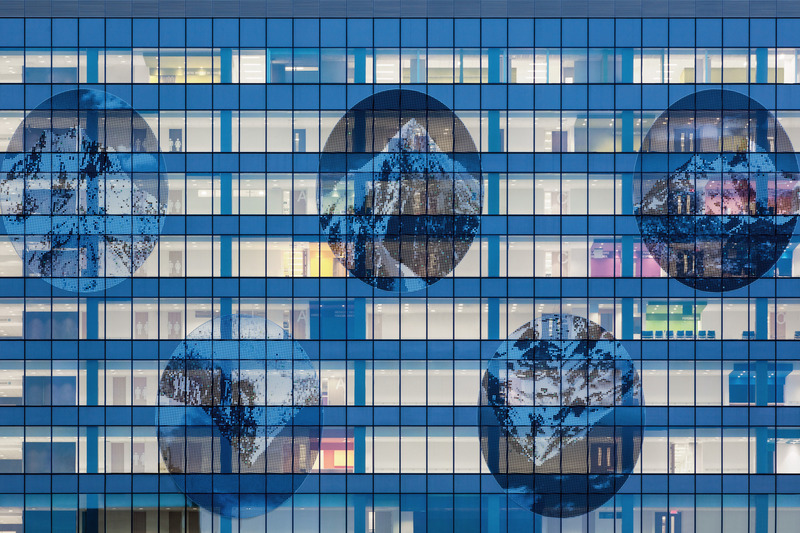 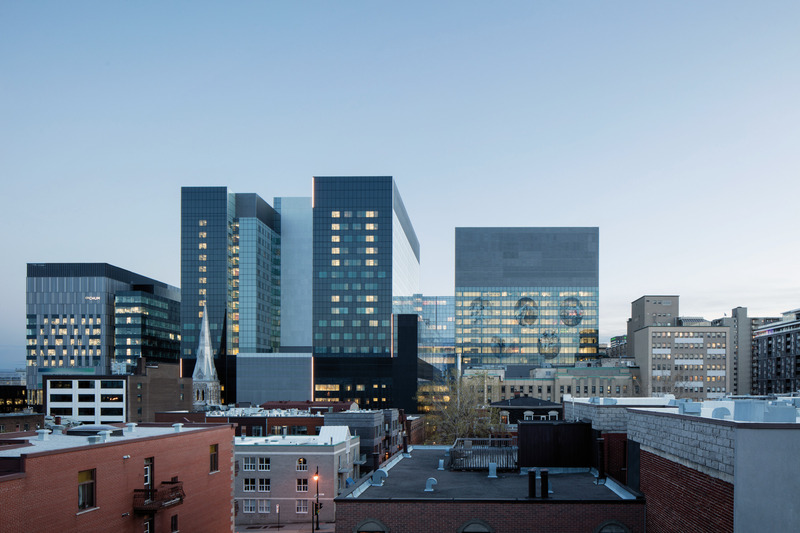 Occupying two full blocks in the heart of downtown Montreal, the Centre hospitalier de l’Université de Montréal (CHUM) is the largest healthcare construction project currently being built in North America. 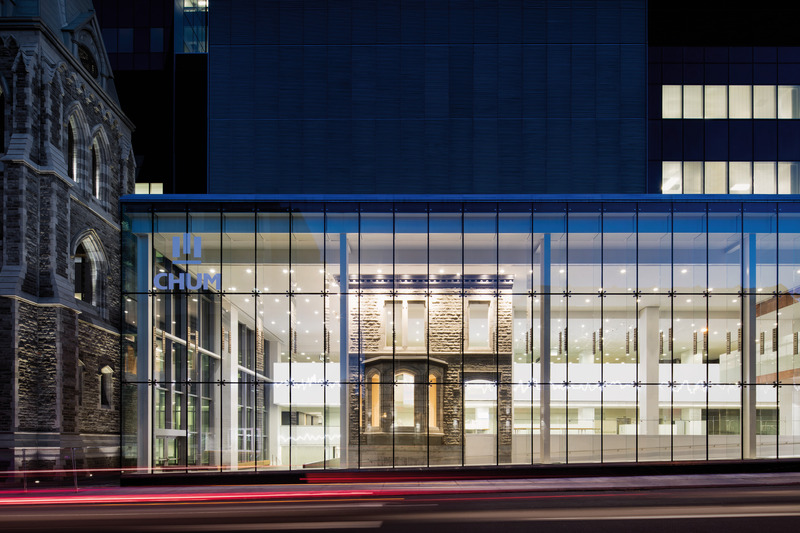 Born from the merger of three hospitals, CHUM replaces outdated facilities and brings these entities together in a single-site institution. 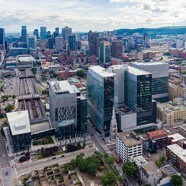 An anchor of the Quartier de la Santé — Montreal’s new health district — the development will seamlessly combine teaching, research, and healthcare and solidify Montreal’s standing as a health and science hub of excellence. 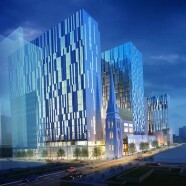 Despite its large size, CHUM has a very human scale through its massing as a community of three interconnected towers that retain individual identities while communicating and relating to each other. 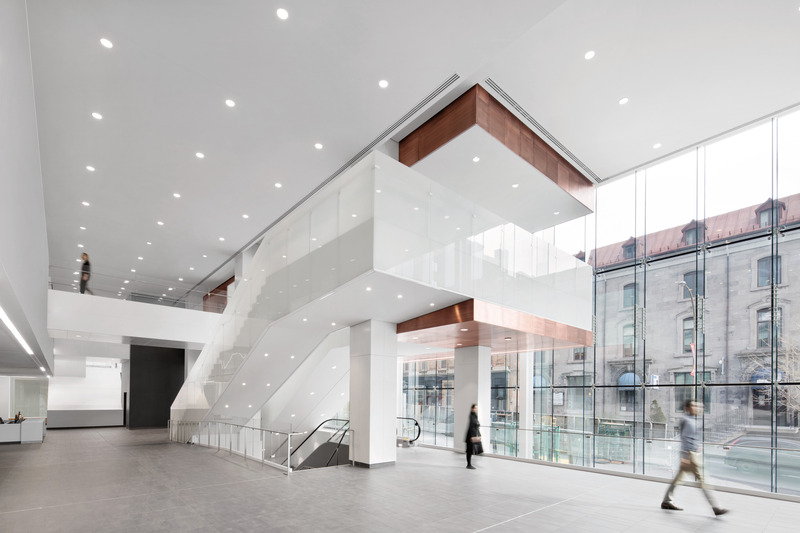 The architectural design combines historic architectural artifacts, such as the St-Sauveur Steeple, with a nuanced expression of cladding materials — creating a juxtaposition that redefines the identity of the district around the site. 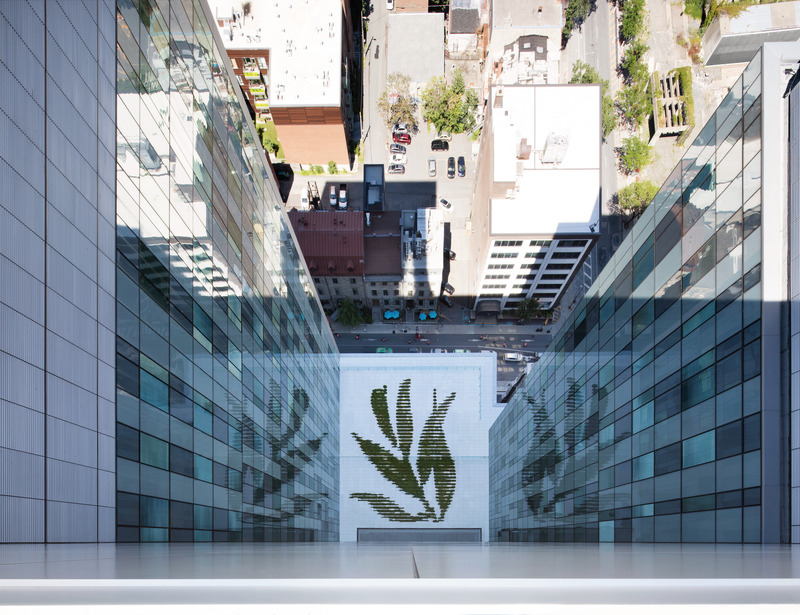 Viewed as a cultural center just as much as a destination for health, the building also includes one of the largest public art programs in the history of Montreal. 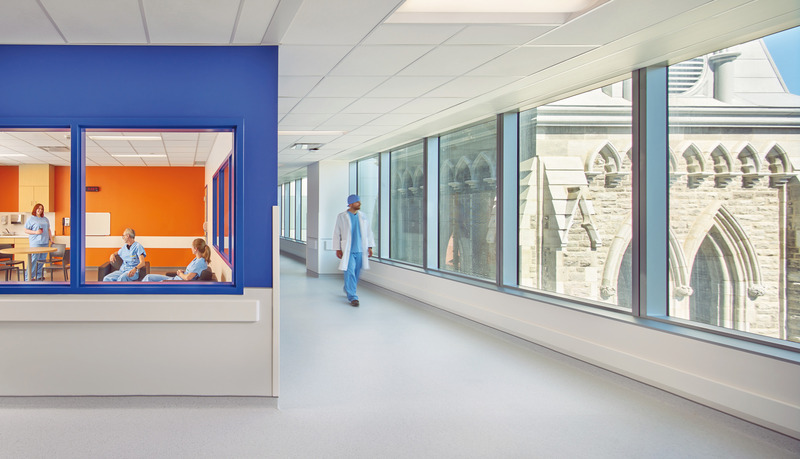 The clinical design and programming solution for CHUM stresses efficiency, clarity between front and back of house, and flexibility. 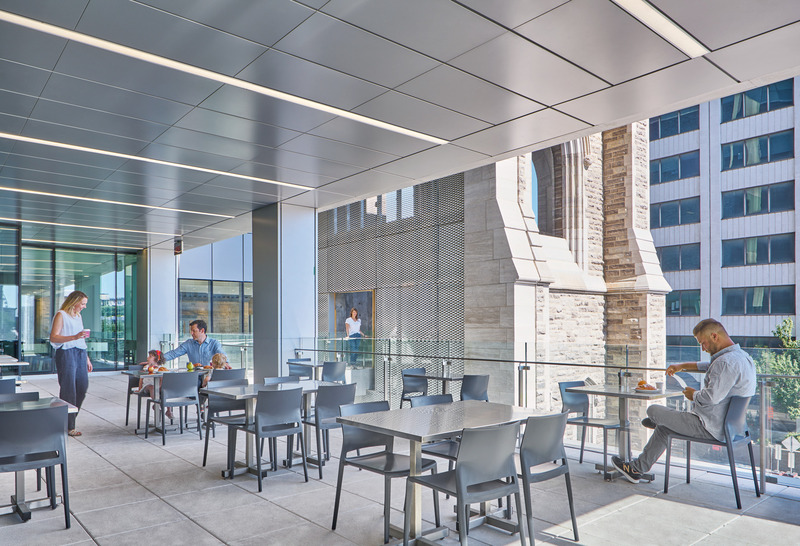 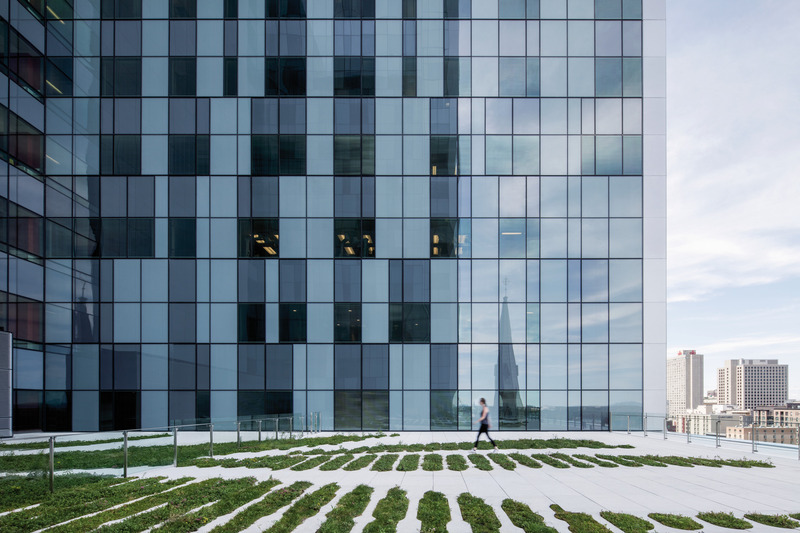 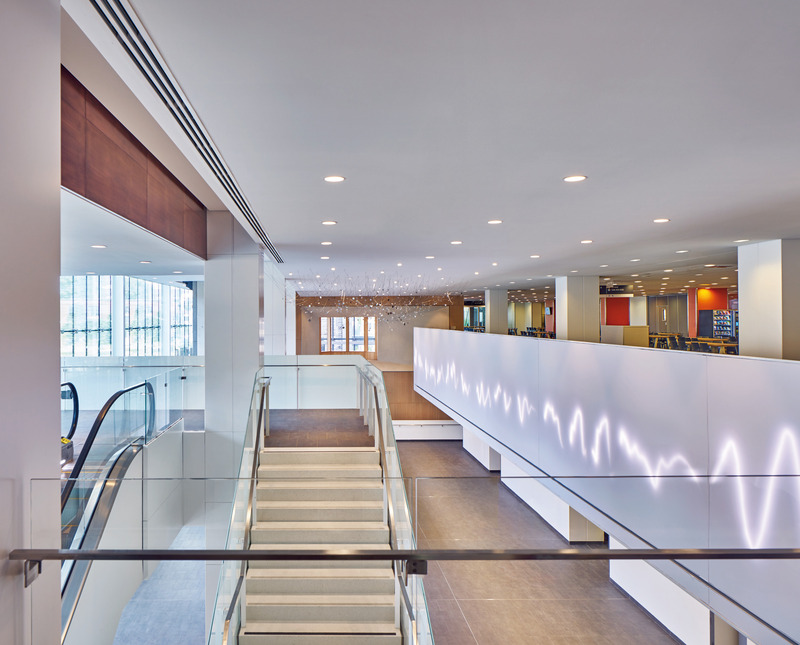 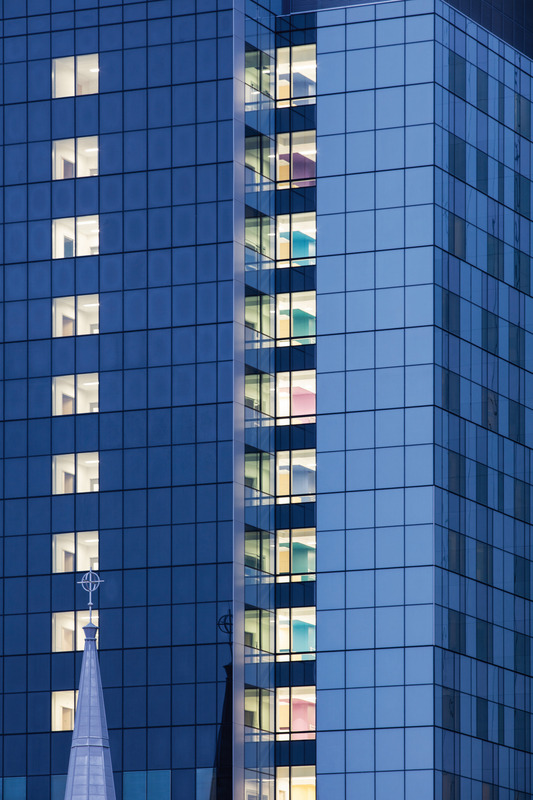 Modular design, repetition, standardization and co-located services yield the highest staff efficiency while reducing errors and providing the greatest value in construction and maintenance. 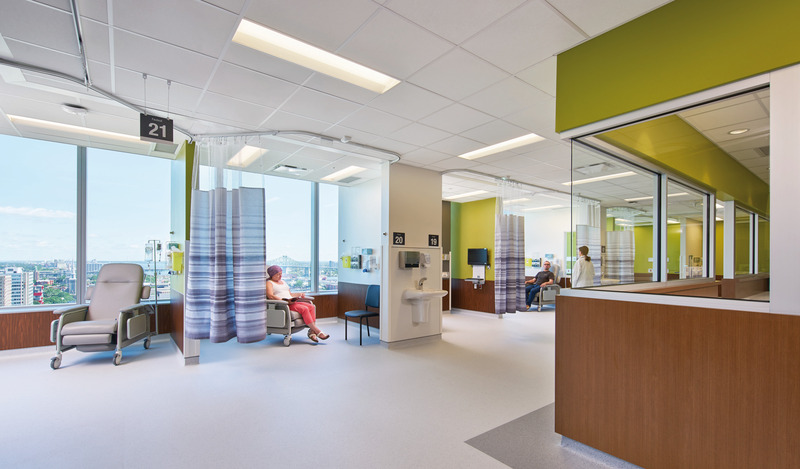 Patient healing is supported in 772 single-bed patient rooms designed to accommodate family members and aid in the recovery process. 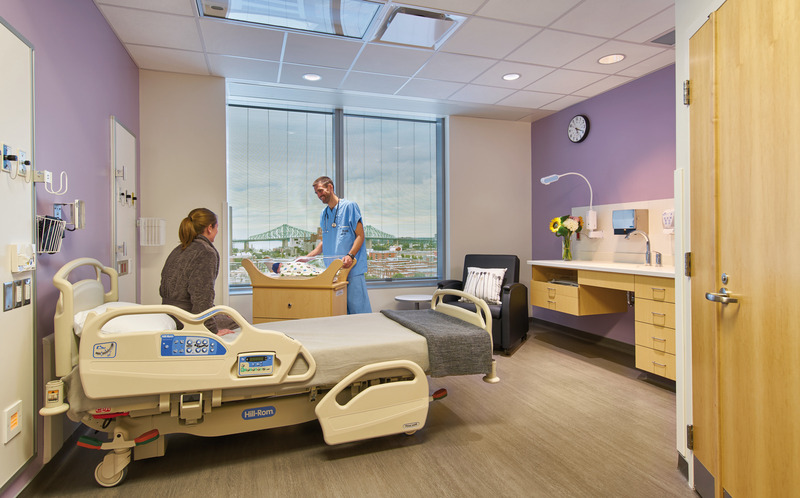 The majority of the patient rooms overlook expansive healing gardens filled with local medicinal plants, and enjoy some of the best views in Montreal. 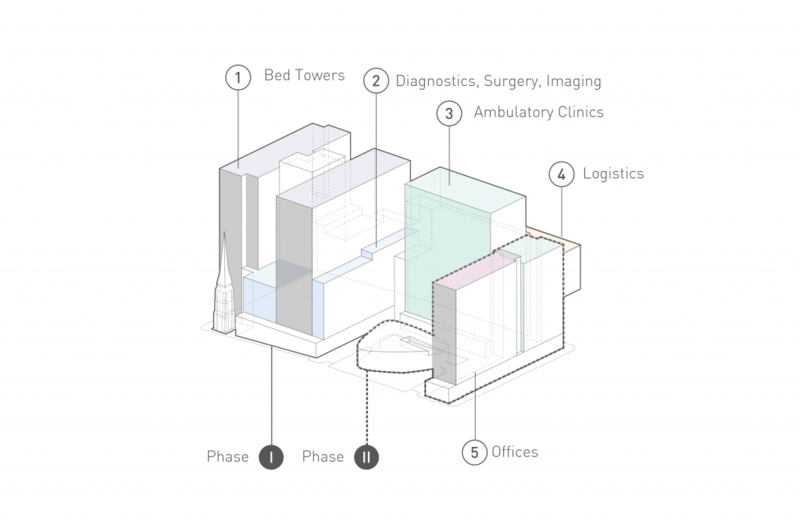 The complexity and scale of CHUM required an organized and efficient P3 (Public Private Partnership) approach. 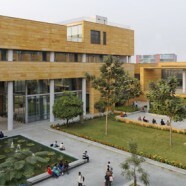 The project is being completed in two phases. 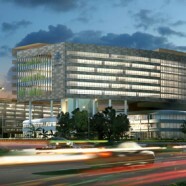 Phase 1, which will be completed in the fall of 2017, consists of the hospital and ambulatory building. 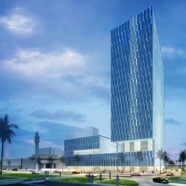 Phase 2 is set for completion in 2021, and includes the 500-seat auditorium and office building. 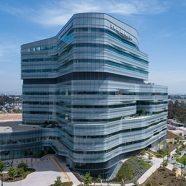 At 22 stories tall and more than 3 million SF, the CHUM is the largest healthcare construction project in North America.